Hi - I am struggling to set something up and BS sprung to mind after a hour of struggling. I have a site and I want to track a goal on that site of filling out a form. The complication is that there are several forms and they all go to the same thank you page, I would like to track the forms individually as they are all lead gens. 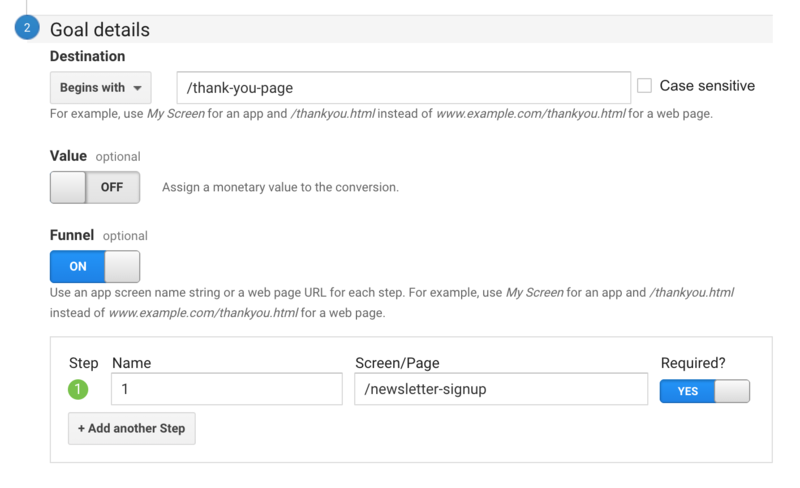 I was of the impression that a google analytics goal could be setup that would trigger only if the user went from the signup page to the thank you page and for the goal to fire it would need to load both pages but having looked Im not sure this is possible. Does anyone know if the above is possible or if there is another way of doing this? Its a big corporate site Im dabbling with that has development cycles/scrums/100 teams working on 20 things a 3 project managers so making changes to the site is out of the question, Im hoping there is an analytics based solution if possible!